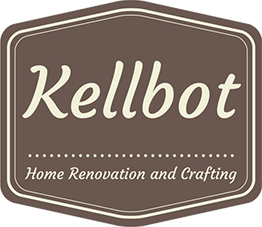 Big Changes Ahead - Kellbot! | Kellbot! The past week has been eventful, to say the least. I’m excited to announce that starting in August I’ll be joining the team at SkillSlate.com, working with their development team to launch the next version of their site. SkillSlate is a company that focuses on connecting freelancers and independent contractors with clients. Having spent the last two years freelancing and running my own business, I’m excited to work with a team again. I’m also bursting with ideas about various ways the site could be expanded, though I will be careful to avoid the dreaded “you should” in conversations with the rest of the company. It’s a pretty small team right now, so there will be plenty of learning opportunities as it grows. I’m sure I’ll blog about it, at least as much as my NDA allows. I’m also incredibly sad to be leaving my job at NearlyFreeSpeech.Net. For the past year and a half I’ve worked on their customer support team. This blog, along with most of my other websites, is hosted at NFSN, and has withstood being Slashdotted, BoingBoing’d, Farked, and god knows what other horrible slew of internet traffic. It has been an privilege to work there, and I will continue to be a happy customer of theirs. If you are a command line ninja who can talk to humans (via email), you might want to consider being my replacement. Drop me a line (kellbot at gmail dot com) with some background and I’ll pass on the details. As for my own startup, it’s on the back burner for now. We had a catch-22 where we couldn’t get funding without building the site first, but as freelancers we never had time to build the site without money. I still think it’s a good idea, but it will be a few years before I’m able to devote resources to it. The good news that after a few years of getting paid a real salary I’ll be able to fund my own projects. The new job is a great opportunity, one that was essentially dropped in my lap. But I can’t move forward without a longing look towards all the things I’m leaving behind, particularly a great part-time job and the luxury of working in my PJs until noon. We’re very excited to have you on the team Kelly!